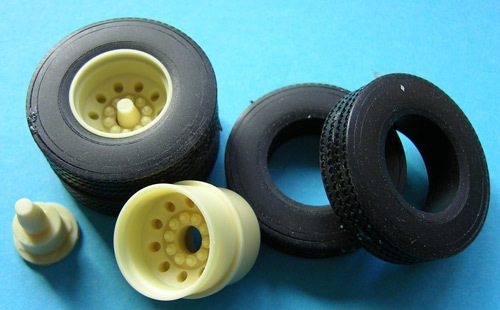 Set of 2 super single tires. Tires measure 24.35mm I.D. X 44.5MM O.D. 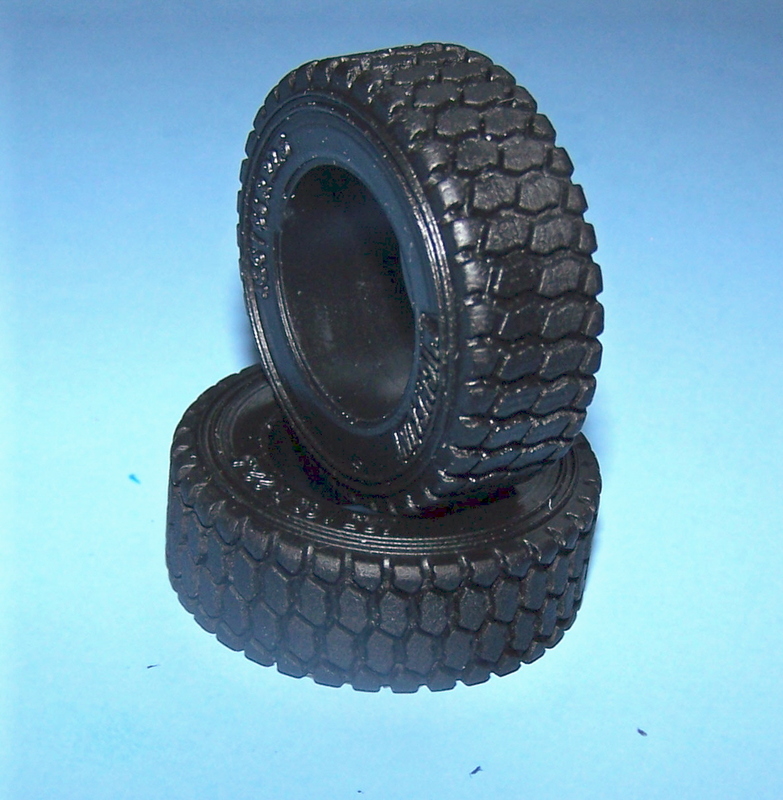 Set of 8 drive tires with SDS tread. 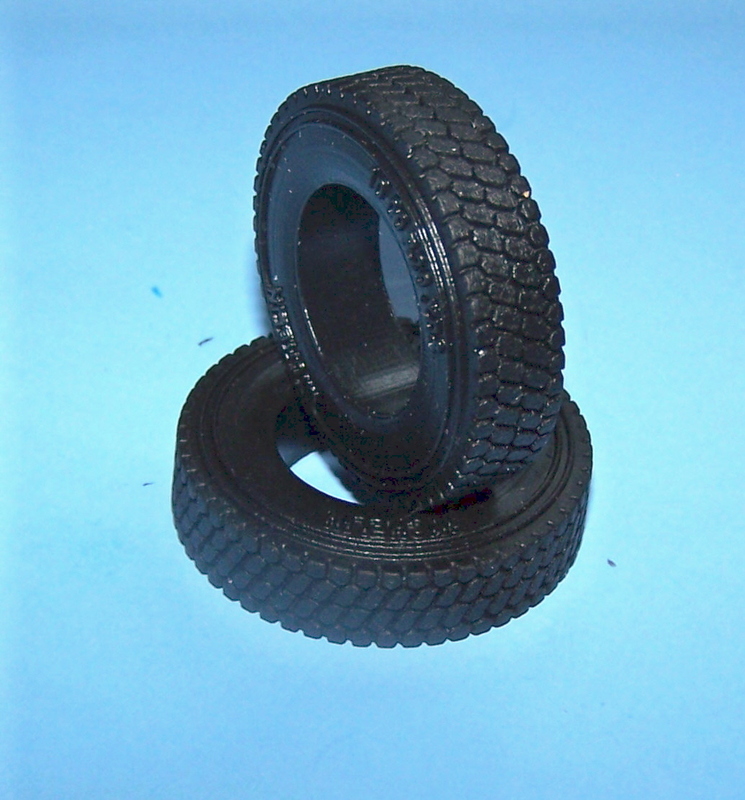 Tires measure 24.65mm I.D. x 43mm O.D. 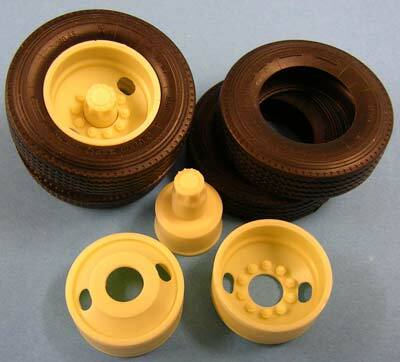 Drive tires for use with AMT 20" wheels. 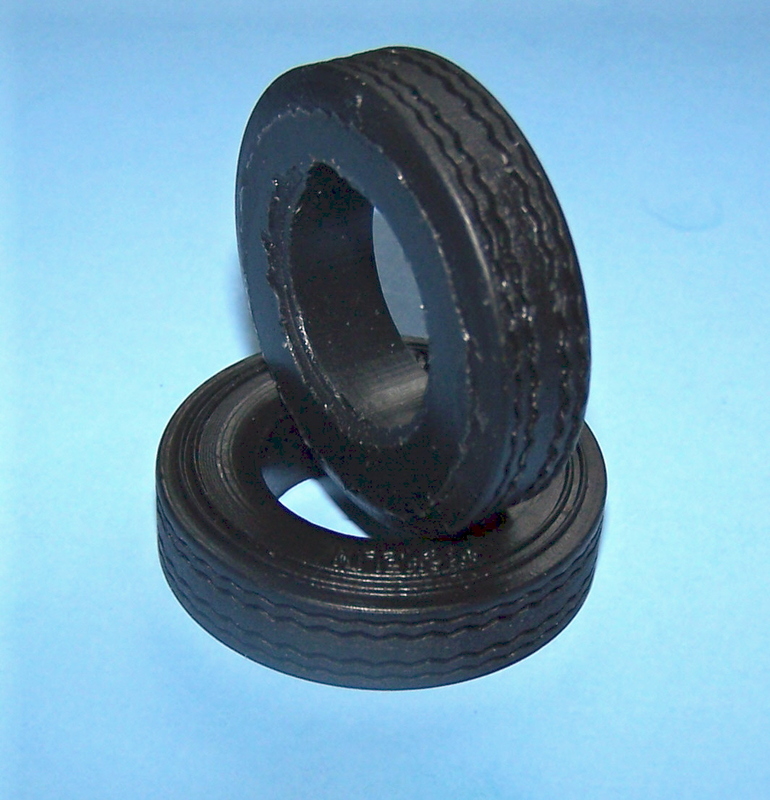 Tires measure 21.5mm I.D. X 39.35mm O.D. 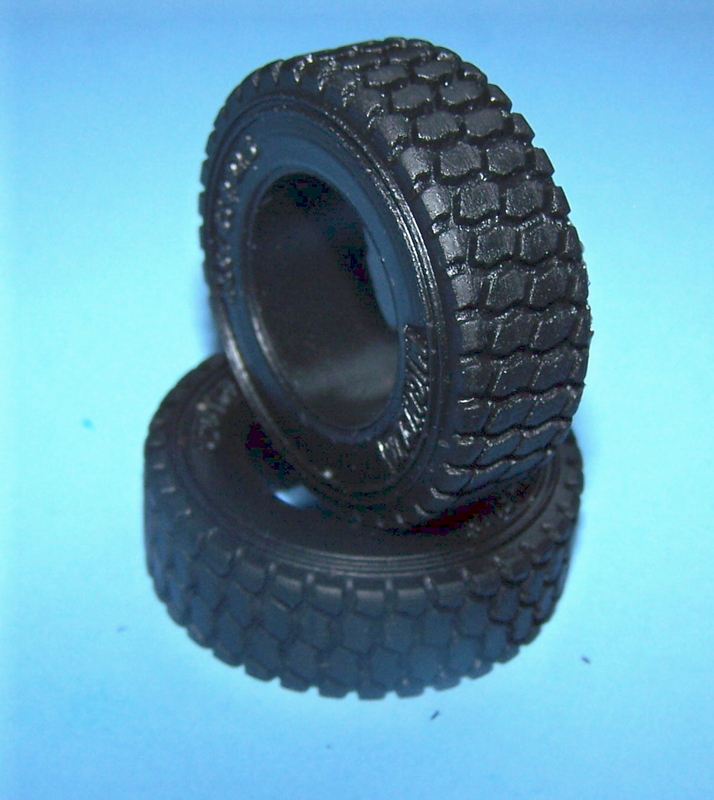 Set of 8 trailer tires. 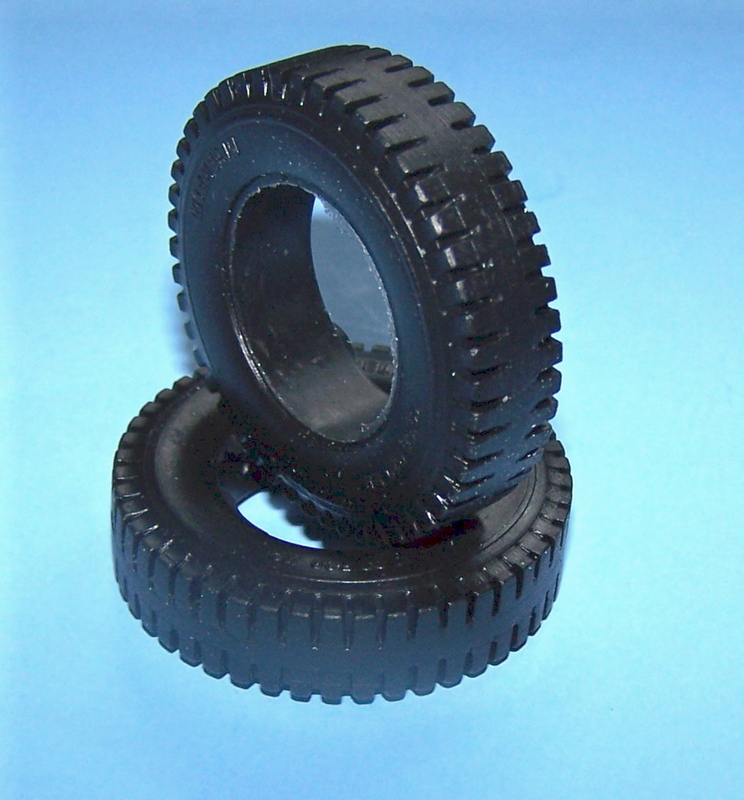 Tires measure 24.45mm I.D. X 43mm O.D. 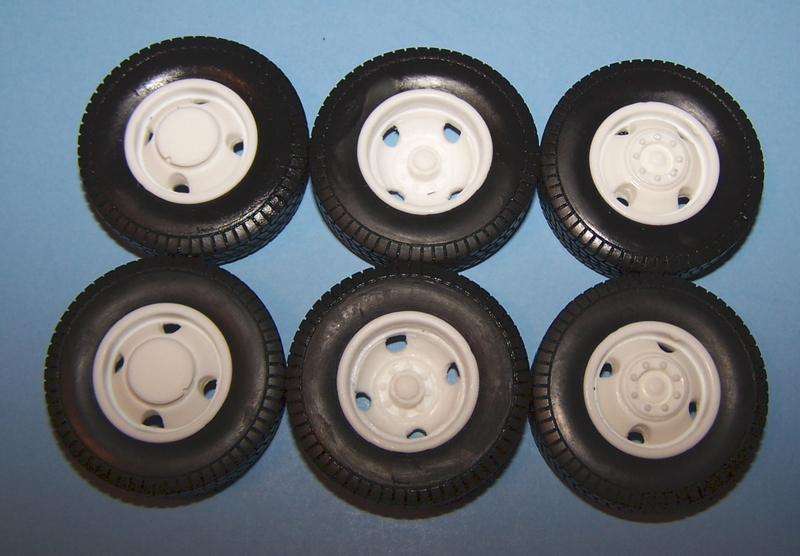 Set of 8 trailer tires to fit AMT 20" wheels. 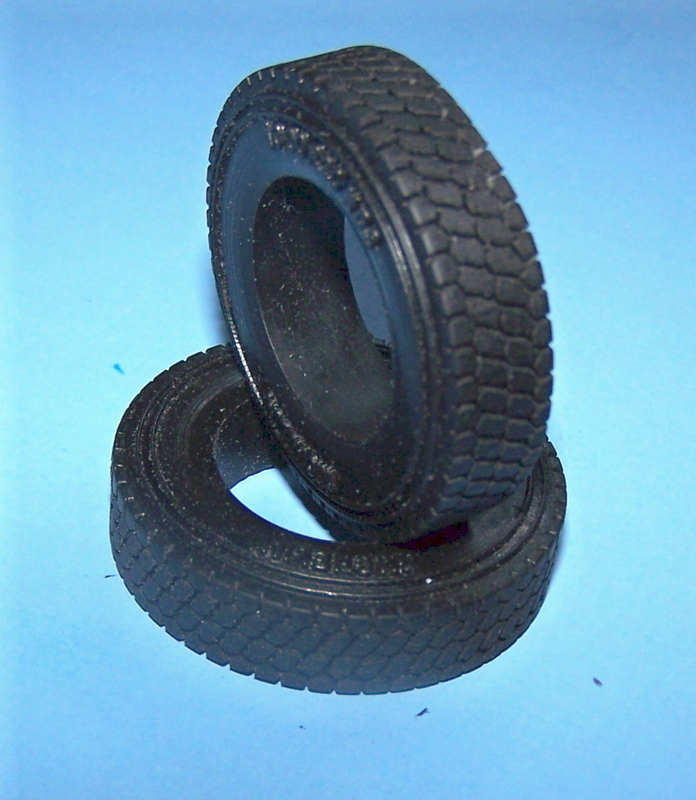 Tires measure 21.5mm I.D. 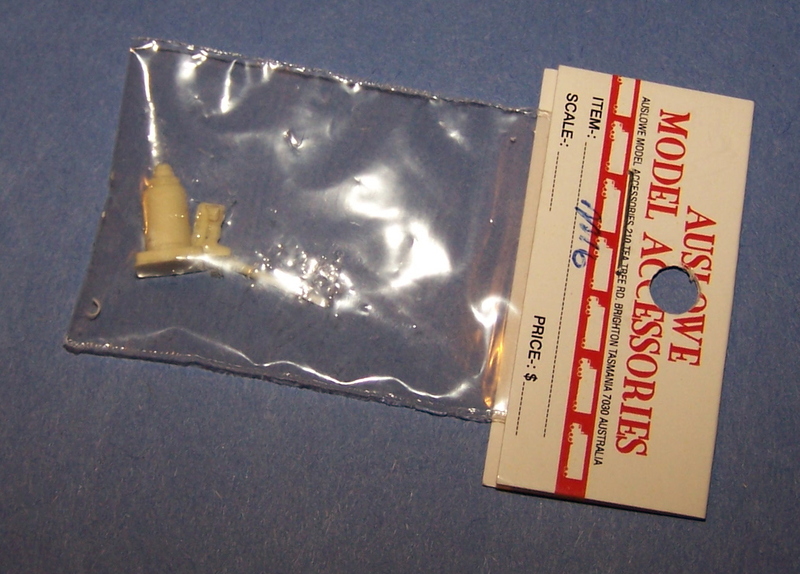 X 39.7mm O.D. 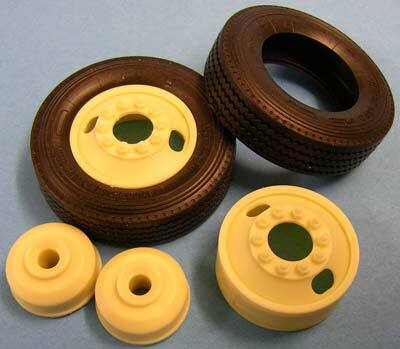 Set of 8 tires to fit Italeri wheels. 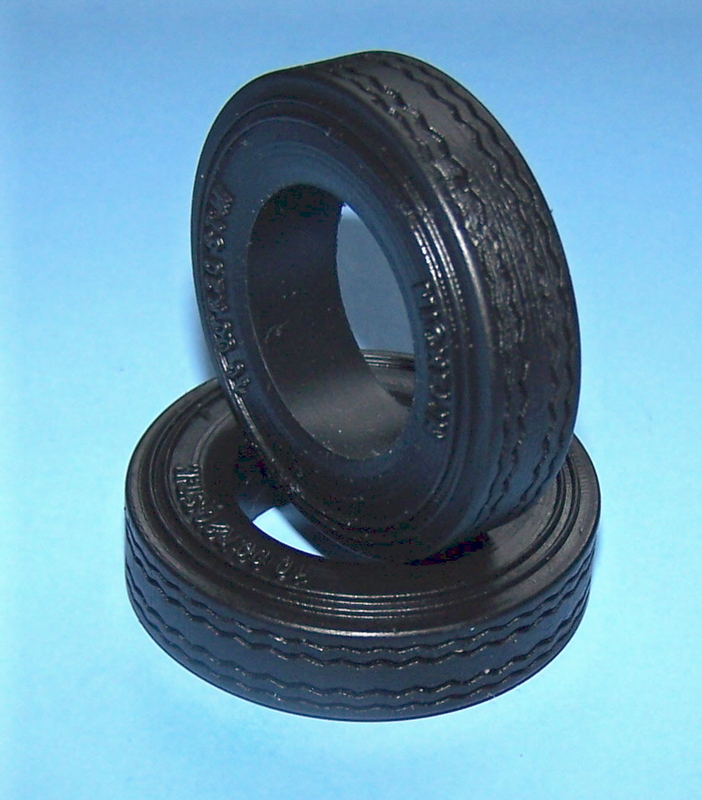 Tires measure 24.5mm I.D. x 43.15mm O.D.